As he was being arrested, police said the man referenced Planet Fitness' long-standing slogan that it is a "judgment-free zone." A man who was naked at Planet Fitness said he thought it was a "judgement-free zone." 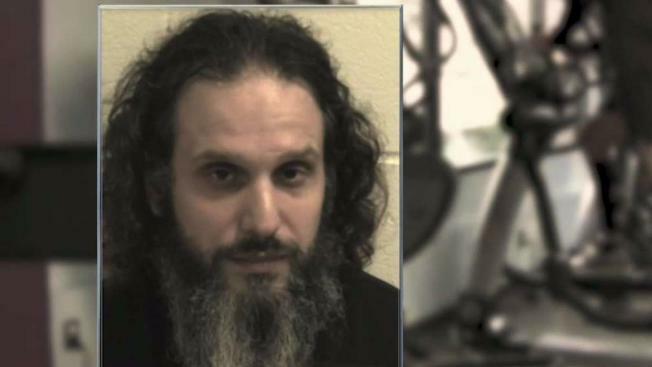 A man accused of stripping naked before working out at a New Hampshire Planet Fitness reportedly told arresting officers he thought the gym was a "judgment-free zone." Plaistow police Capt. Brett Morgan said Eric Stagno, 34, of Haverhill, Massachusetts, was charged with indecent exposure/lewdness and disorderly conduct after he allegedly walked into the gym on Route 125 in Plaistow on Sunday afternoon, took off his clothes, walked back and forth a couple of times and then started doing poses on his knees on a yoga mat. As he was being arrested, police said he referenced Planet Fitness' long-standing slogan that it is a "judgment-free zone." Stagno is free on bail and is scheduled to be arraigned on Sept. 21 in Plaistow District Court. He could not immediately be reached for comment. Planet Fitness has not yet responded for a request for comment.